Declan Murphy lives near Glendalough in the Wicklow Mountains, having moved there from his native Dublin in 2004. He has an innate and seemingly boundless interest in all aspects of nature, but especially in birds. 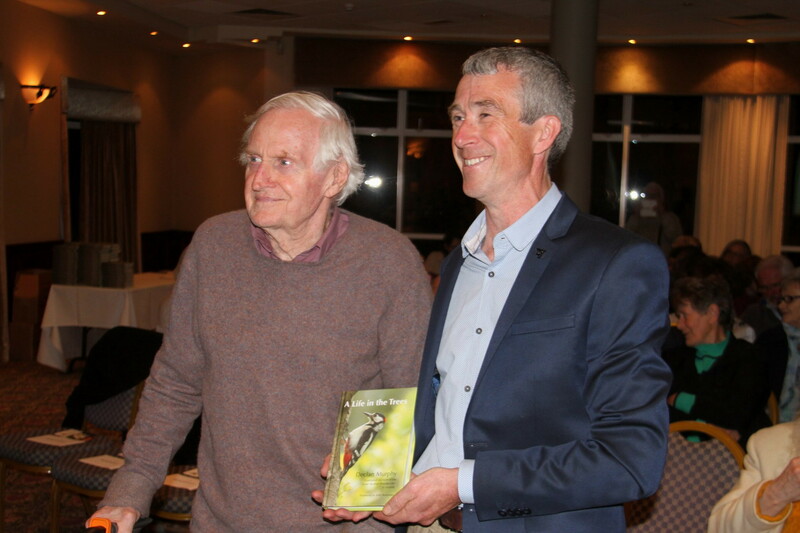 A highly experienced birdwatcher, he has 'birded' extensively throughout Ireland and many parts of the world, including Australia, North America, Asia and Africa. 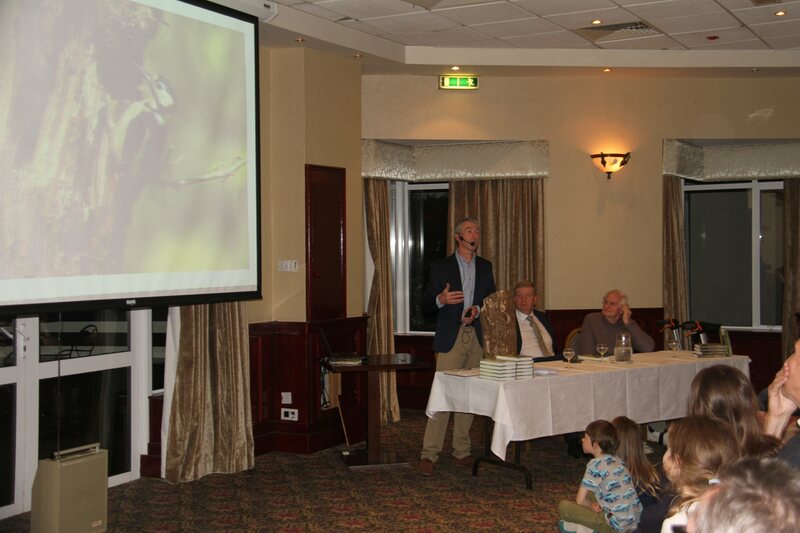 His love for, and knowledge of, birds eventually led him to work with BirdWatch Ireland, Ireland's largest conservation charity. A passionate reader, Declan was captivated at an early age by the writings of Denys Watkins-Pitchford, a British naturalist writing in the 1940's. In recent years articles written by Declan have been published by The Irish Wildlife Trust, The Native Woodland Trust, BirdWatch Ireland and The Sherkin Comment. Wishing to inspire the current generation of children, in the same manner as Denys Watkins-Pitchford had inspired him, Declan published his first book, A LIfe in the Trees, in September 2017. It received highly favourable reviews in The Irish Times and on both RTÉ's Liveline and Mooney Goes Wild Show. Within six months the first edition, a hardback version, was sold out and the publishing rights have now been acquired by Lilliput Press, a Dublin-based publishing company. A paperback version of the book will be released in the autumn of 2018 and made available both nationwide and in the UK. Declan has now begun work on his second book, which will be written in the same style and genre as the first. Details of this work's progress can be found on Declan's Blog. Please contact Declan if you wish to discuss any aspects of his writing. Declan's distinctive dulcet tones are well known to the many listeners of RTÉ's Mooney Goes Wild Show. He has appeared on the show reporting on the wildlife to be encountered in the Wicklow woodlands near his home. 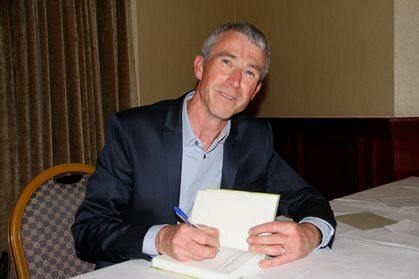 As an author, Declan was also featured on RTÉ's Liveline show. In May 2018, Declan participated as one of the contributors on RTÉ's International Dawn Chorus programme and brought listeners the Spanish dawn chorus from Trujillo in Extramadura, Spain. An experienced speaker, Declan has given numerous presentations to schools, libraries and various groups on a range of natural history topics. Some of his most popular talks include: Gardening for Birds, Identifying Birdsong, Discovering Nature, The Great Spotted Woodpecker and Writing & Publishing your First Book. One particular presentation, Amazing Birds, has been specifically designed for children on the autistic spectrum. Declan's presentations are lively, enthusiastic and humorous, yet inspire and educate all those attending. All presentations are suitable for both children and adults. Please contact Declan if you would like further details about his presentations.